Do GMOs have a role in the next food frontier? Snack attacks and the hunger games: the downside to working out? Does SALT need an ambassador? The good thing about our finances and food preferences converging like this is it makes us much smarter shoppers. After fetching our dearly beloved pup from dog-sitting friends, the husband and I headed straight to Trader Joe’s for groceries. This was, in part, because our nearly empty fridge had also lost electricity for a portion of last week after the DC storm (#funfridgesmells), and in other part because we were hungry, as usual, and TJ’s has samples. 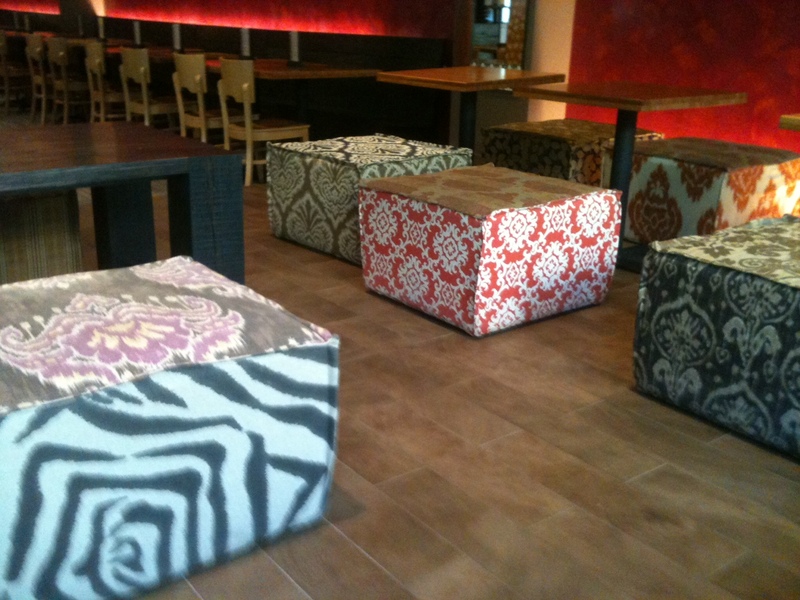 In fact, we were so hungry that we had to stop off at Teaism next to the Alexandria TJ’s for a bite (where I fell in love with these floor poufs…). Back to groceries. Our family (minus the dog, who eats flies when possible) is increasingly committed to buying food either A) from a farmer, market or CSA share or B) with the necessary food buzz words smeared across the label (i.e. organic, free-range, grass-fed, sustainably harvested, etc.) In our past life north of Seattle, this was pretty easy to accomplish. They even carried organic options at the commissary on the Naval base, where our bill would come to just over half of what we’d pay at the Safeway near our house. The commissary at our nearest base here carries ONE brand of chicken, and it’s the one that’s featured on Food, Inc. Needless to say, we’ve ventured out. From The Florida Cookbook: from Gulf Coast Gumbo to Key Lime Pie, an educational book on the evolution of Florida’s gastronomy I found at our Destin beach house.